Well, Kent Hovind has done it again. He's been convicted of one of the four Federal charges brought against him. Appropriately enough, the charge was “contempt of court.” It might just as well have been contempt of law. Hovind was already in this mess because he had contempt for the law in the form of refusing to pay taxes for a completely insane reason. Not merely content with finagling on his taxes, he refused to pay any tax because, he claimed, he took a vow of poverty as a minister of the gospel of Jesus Christ and, therefore, owns nothing and receives no income and all of his needs are taken care of by the ministry. Along the way, he filed a bogus bankruptcy case in an attempt to keep the IRS from levying on some of his property, in the course of which he threatened to sue an IRS agent for doing her job and claimed that as a minister of God everything he owns belongs to God and he is not subject to paying taxes to the United States on the money he receives for doing God's work. 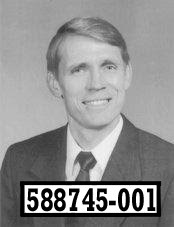 Hovind continued to refuse to pay taxes and the charges were brought that he was convicted of in 2006 that eventually got him a 10 year sentence. That was a rather heavy sentence but probably came about because, while he was in jail awaiting sentence, he somehow failed to notice signs on the phones he was using to make eight hours of calls a week that warned that the conversations are recorded. The tapes were played for the judge at Hovind's sentencing hearing. During those calls he not only displayed no remorse whatsoever but vowed to "make life miserable" for the IRS and to keep suing the government to promote his “theory” that he's tax-exempt. That brings us to the latest charges against Hovind, which involved his filing legal documents calling into question the IRS' right to sell some of his real estate (after he had been ordered by a court to stop doing so) in an attempt to stop or delay the sale. At every step of this sorry tale, Hovind has shown utter contempt for American law and courts. At his sentencing this June I suspect he will get near the maximum allowed under Federal guidelines. As his wife said during one of those phone calls "I'm sorry, but I don't get it." Update: I don't do criminal law, much less Federal criminal law, but Peter Reilly, who blogs on tax matters for Forbes, posted on his personal blog, Your Tax Matters Partner, that the guidelines indicate a sentence of 21 to 27 months and a possibility that they could go as high as 31 to 37 months. The criminal law expert Reilly consulted felt that, although the judge is not bound by these guidelines, under the circumstances of this case, she probably would adhere to them. Should we tell him he's forgotten the bit about 'render unto Caesar'? Nah! Why spoil the fun? With his ego, imagining himself as his own country not subject to any law but his own, I doubt it would make any difference. The one I feel sorry for, without knowing more, is his wife, who got to spend a year in her old age in jail because of his nuttiness. In another world, maybe she would recognized what he was and ran, not walked, away. If memory serves, it was in fact in connection with Hovind, who was building structures at his theme park without doing the paperwork, that a local official said: "The Bible says render to Caesar what is Caesar's, and what Caesar requires now is a building permit".